Celebrity Lookalikes: Does This Nigerian Lady Look Like Oprah Winfrey? 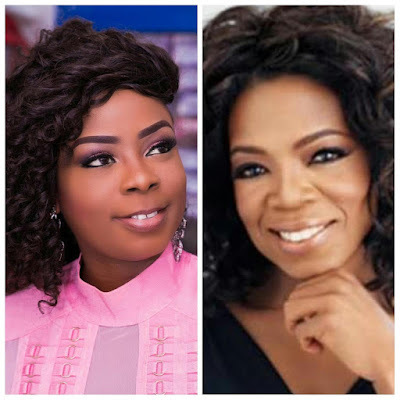 The MD/CEO Bodex Group, Florence Hungbo shared this collage of herself and media mogul Oprah Winfrey and said people say she looks a lot like Winfrey. Got lots of mails, calls and SMS saying I look like Opray Winfrey who is also my role model. Please, do you think I really look like her? Be nice with your comments biko.